Following three days of intense racing, the Round Martinique Crédit Mutuel AG concluded on Sunday with four class winners being crowned champions. The racing was close and the finishes tight evidenced by the narrow margins seen at the conclusion of racing on the longer courses set Saturday and Sunday. Race favourites have, in each of the 4 groups competing, managed to hold their lead. The 28 crews now have a chance to catch their breath celebrate the end of an event that has seen all kinds of courses and races. Martinique provided a stunning backdrop, beautiful seas, strong breeze and bright sunshine and with the Round Martinique Regatta can offer a great attraction for sailors and tourists alike. Nicolas Gillet (GFA Caraïbes) in the Racing Class, Tristan Marmousez (La Morrigane) in the Surprise Class, Max-Volny Anne (Foxy’s) in the Racing Cruising, and Vincent Lindor in Cruising claimed their overall event wins having completed the “Round Rock”, the 22-mile race between Sainte Anne and Fort de France. The 22-mile race to Fort de France in the 26 knots gave rise to a number of twists for the fast sailing Racing Class boats. 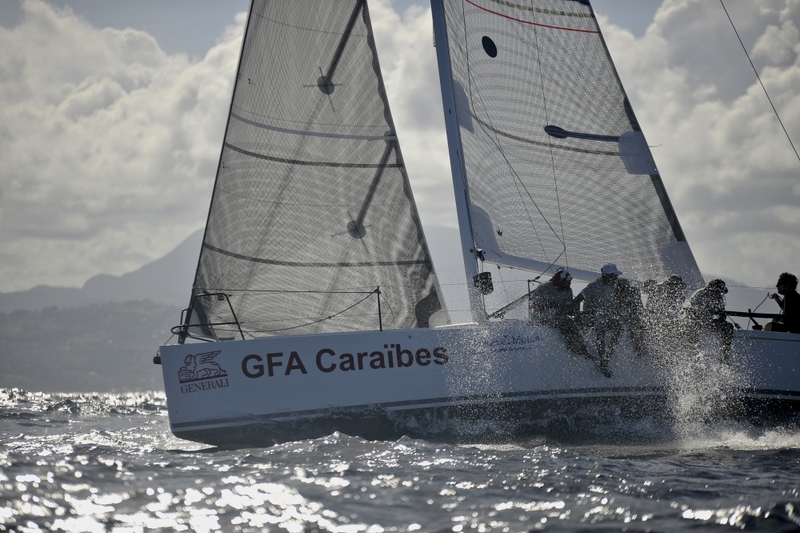 Nicolas Gillet on GFA Caraïbes, blew out his spinnaker early on and saw the Sun Fast 32 SGS Crédit Mutuel and also the Jean-Michel Figueres; Farr 40 Persevarare Diabolicum catch up. These three teams, leaders overall, remained in close contact right through to the final stages in the Fort de France Bay for a very close finish. Persevare Diabolicum claimed line honours in real time, but the margin is not enough for Claude Granel and his crew on SGS Crédit Mutuel, who wins the race today or the overall winner, Nicolas Gillet on the J 111 GFA Caraïbes who leads the standing at the end of the three-day regatta. The Surprises fleet enjoyed both a great sporting and festive weekend of tight and close racing in real time. Tristan Marmousez on La Morrigane ruled unchallenged, winning all but two of the windward leeward races on Friday, which were taken by Vianney Saintenoy on Digilife. Today’s final race in windy conditions only confirmed the hierarchy established earlier on in the event in Fort de France. Digilife and the Marine National made attempts to threaten the leaderboard, but finally it is the all-female crew on Denebola / Didier skippered by Délice Nouel who takes the overall podium sport behind Digilife and La Morrigane. 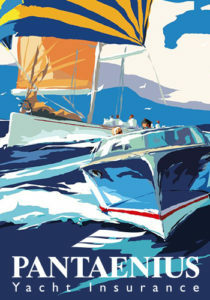 Organised by the Yacht Club of Martinique President Paul Constantin, with the support of three yachts clubs and two associations, the Round Martinique Regatta has left its mark and stamp as an event enjoyed by all neighbouring islands including, Grenada, Barbados, Saint Lucia and Antigua, who come in numbers, attracted by this great mix of competition and fun. 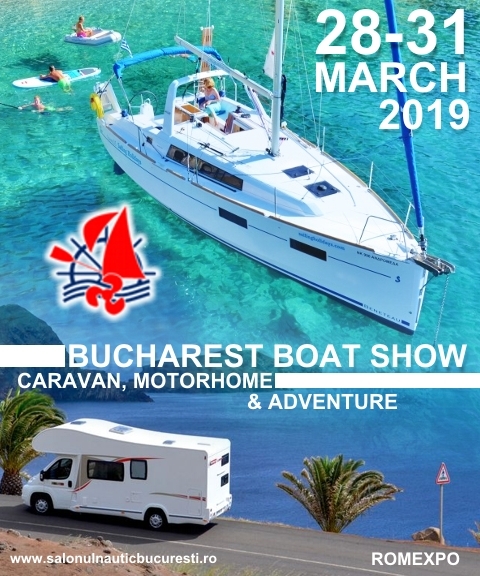 For three days, each race group was able to compete in a variety of inshore races and the exciting coastal race on Saturday with a strong dose of offshore to add to the mix. The new format has been deemed to be great by all!